Kathryn Longwill spends a lot of time under fluorescent lights, surrounded by coolers and a whitish contraption that looks like an oversize refrigerator. The walls of her chilly lab are beige, the cupboards are brown and the graying floor is spotted with decades of spilled chemicals. But deep within this laboratory of drab neutrals, lives are taking hold. Staff scientist Longwill draws some watery solution into a plastic pipette, squirting it in a petri dish and placing it under her microscope. Then she beckons me over for a look. “Do you see them?” she asks me, her face equal parts excitement and pride. I set my glasses aside and take a look. Coming into focus are wiggling, translucent baby freshwater mussels just the size of dust specks. A tongue-shapedvfoot pops out from several of the tiny bodies. 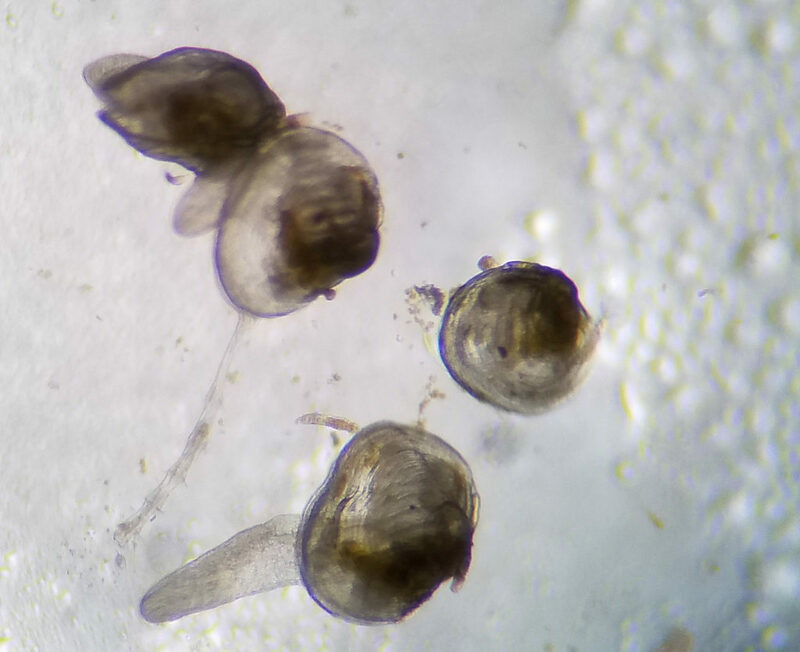 And they are incredible, these miniscule versions of the adult bivalves they’ll someday be. Their shape reminds me of kernels of corn, or minute fingernails, and I can see their hinged shells beginning to take shape. Longwill explains that these animals spent their early days inside a CO2 incubator, where they fed on a growth medium as their organs began to take shape. Raised at the Academy through in vitro methods, they are most likely destined to live out their lives in a real freshwater mussel bed. But first, she and her colleague and principal investigator, Project Support Section Leader Roger Thomas, will help them grow from fragile babies into hearty juvenile mussels that can survive and thrive in a river, lake or stream. hoping to replenish a diminished mussel population that plays a vital role in the health of our local waterways. freshwater mussels worldwide live in North America. Once plentiful in the Delaware River watershed, mussels help keep our rivers, streams and ponds clean by filtering particles out of the water column. They excrete bio-deposits that serve as a natural fertilizer for aquatic vegetation. Various mussel species commonly live together on stream bottoms, creating concentrated communities called beds. These beds often provide microhabitats for other macroinvertebrates and fish and can even help decrease erosion by stabilizing stream bottom sediments. her larvae into the water, where they attach to the gills or fins of specific fish hosts, almost like temporary parasites. fishes. The mussel then blasts its larvae into the fish’s open mouth. This amazing trick has allowed mussels to survive since at least the breakup of Pangaea. drop off and eventually burrow into the sediment, where they grow into adults, some of which can live for up to 100 years. Thomas has been studying mussels at the Academy since the late 1970s, when he was brought in to assist noted Academy malacologist Sam Fuller with a three-year study on the distribution and diversity of the endangered Higgins eye pearlymussel throughout the Upper Mississippi River. 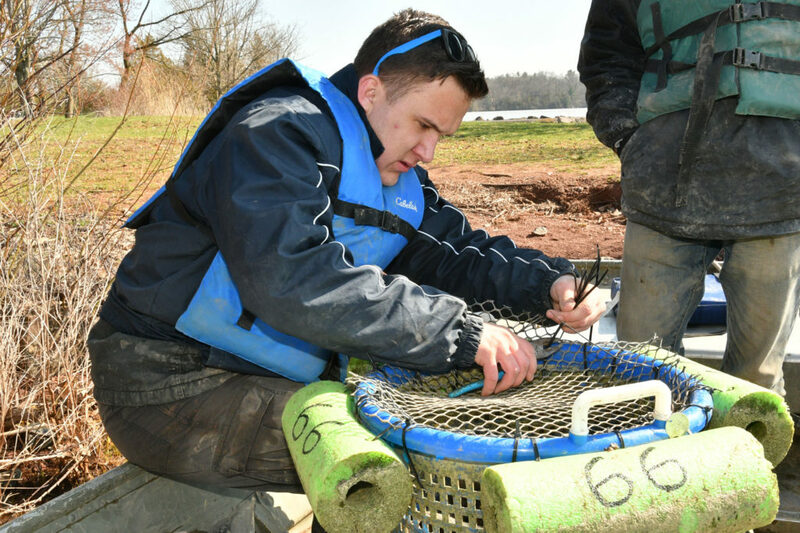 Several years ago, while working on a sediment study on the Delaware River, he and his team unexpectedly found quite a few mussels in their dredge samples. This discovery was followed by several large-scale mussel surveys in collaboration with Danielle Kreeger, PhD, and staff from the Partnership for the Delaware Estuary (PDE), Lance Butler from the Philadelphia Water Department (PWD) and members of the EPA Region 3 Dive Team. “Mussels were common within the lower Delaware River watershed before the 1900s, but now they are few and far between,” Thomas says. In fact, mussels are now the most imperiled taxa in North America. What is behind this dramatic drop-off? hindered mussel reproduction. Acid rain fell to the ground, bonded with calcium from the soil and deprived mussels of a key element they needed to build their shells, Thomas says. opening habitat for fish and wildlife, including the fish hosts mussels need. provide educational opportunities for students at all levels. At the center of this work is The Mussel Hatchery at Fairmount Water Works, made possible by generous support from the Pew Center for Arts & Heritage and the Philadelphia Water Department, with additional support from the McLean Contributionship and the Pennsylvania Department of Conservation and Natural Resources. As the world’s first city-owned hatchery, it was built to demonstrate the extent to which mussels can be propagated and help to contribute to the restoration of degraded freshwater ecosystems. fish, where they will live for several weeks. When they eventually get big enough to live on their own, they drop off and are collected and placed in 5 gallon buckets. They are fed a special algal diet until they are big enough to be transplanted outdoors in one of our local “grow out” facilities, such as Green Lane Reservoir, Winterthur Gardens and Longwood Gardens. These locations provide ideal conditions to raise mussels. To ensure that mussels thrive in their new homes, project team researchers place the mussel babies in protected, sand-filled plastic baskets attached to cinder blocks to keep them anchored in the water. In the winter, Academy staff sink the baskets in Green Lane Reservoir to protect the babies from freezing surface water and ice. For the next year or more, the babies siphon water, filtering out particles until they are large enough to be released into local waterways. Thomas and Kreeger have documented where certain species thrived in years past and are working to return mussels to some of these local streams. To determine where to place their first generation of propagated mussels, they will take into account the conditions that particular mussel species prefer, including stream flows, the types of sediments present and physical shape of the stream. for the Delaware Estuary, are in the process of completing a nearly $8 million grant agreement from the Pennsylvania Infrastructure Investment Authority to construct a commercial hatchery and create the associated rearing programs. 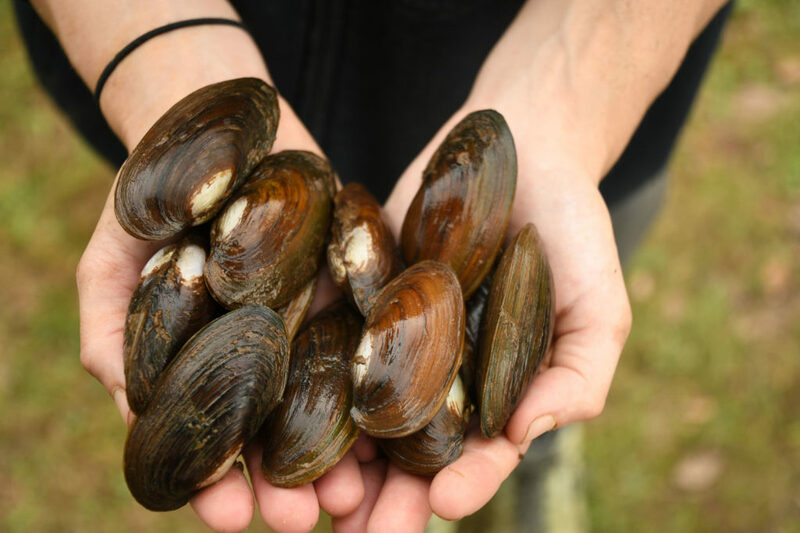 “This is a dream come true to apply our decades-old research on the clean water benefits of mussels to garner support for restoring these underdog workhorses of the freshwater aquatic world,” says Kreeger, who also has been on the Academy’s staff for 25 years. 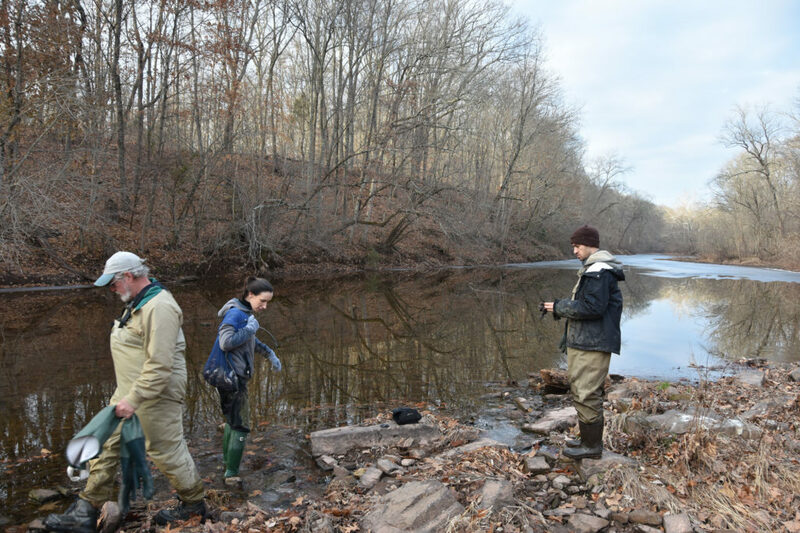 Located at Bartram’s Gardens, the hatchery will work to restore the once abundant mussel populations throughout the Delaware and Susquehanna River basins. In full operation, it could produce up to 1 million baby mussels a year. In addition, future plans are underway through the Aquatic Research and Restoration Center for a possible Floating Water Workshop designed by Victoria Prizzia of the Philadelphia firm Habithèque on behalf of the Fairmount Water Works Interpretive Center and the Philadelphia Water Department. 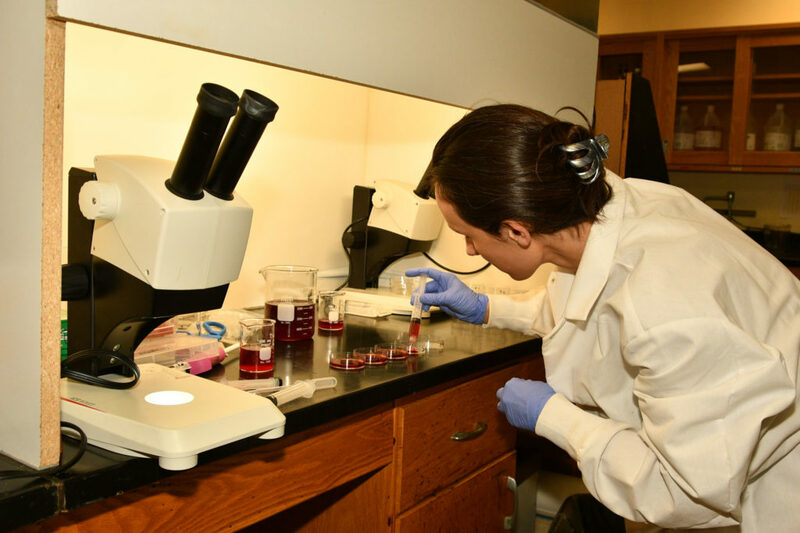 Thomas, Kreeger and Butler have contributed to the conceptualization and design process of a 400-square foot collaborative lab and classroom, which would be made possible through the support of the William Penn Foundation. With large tanks of water onboard, this innovative floating classroom would be instrumental in educating countless visitors each year. Hatchery and the Floating Classroom, hop onto one of our research vessels and boat to Bartram’s Gardens and Independence Seaport Museum and eventually out to the students’ research sites on the Delaware River,” Thomas says. the waters that sustain us, habitats we are trying to preserve and protect for future generations. This article originally appeared in the Fall 2018 issue of Academy Frontiers, the Academy’s member magazine. Learning of these collaborative relationships to solve significant environmental problems make me proud to be a donor to the Academy.